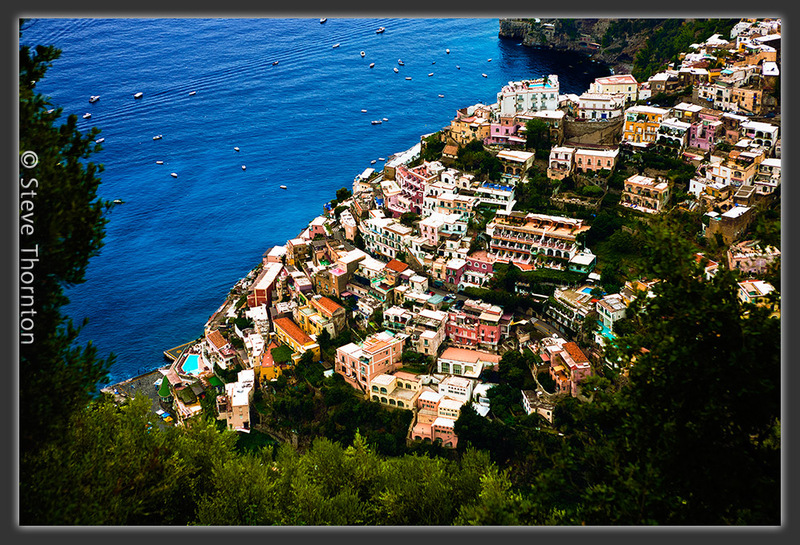 This travel editorial image is of Positano, Italy. I was busy location scouting... well OK we were really going to a restaurant in the hills above Positano that specialized in grilling meat over an open fire and on the way back from being (well over) stuffed at lunch I saw this. And I did accidentally find a couple of great locations for a fashion project on the way up. Shot with a Canon Professional Digital Camera set in RAW mode with a 28-70 at 70 mm Canon zoom lens & processed in Photoshop.